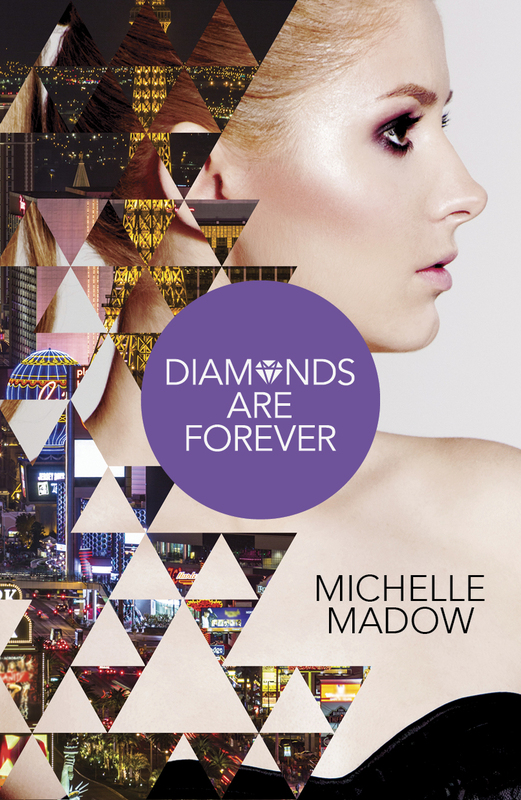 *Diamonds Are Forever* by Michelle Madow Spotlight with Giveaway! What happens in Vegas stays in Vegas … but that doesn’t matter when you live there. Sisterhood, first crushes and scandalous secrets explode as Savannah, Courtney, Peyton, and Madison return in DIAMONDS ARE FOREVER, Michelle Madow’s exciting conclusion to The Secret Diamond Sister series, releasing October 27th from Harlequin Teen. It’s cold outside, but the drama is hot! The Diamond sisters jet to the mountains for spring break, and Savannah’s flirt-mance with an international pop star heats up as her pursuit of stardom succeeds. But is this romance meant to be, or has the right guy been in front of her all along? Meanwhile, Courtney takes the next step with her secret boyfriend—and future stepbrother—and as their parents’ wedding approaches, the pressure’s on to reveal their relationship. Peyton’s figuring out a plan for her future, but she still feels guilty about getting her former bodyguard fired and wonders if she can get over him in the arms of someone else. But the biggest bombshell will change everything once again, because Madison’s ready to tell the huge secret she’s uncovered. And with the boy who betrayed her but who could be the love of her life fighting for his own life, she might need the Diamond sisters more than ever. “Why haven’t you yet?” Emily asked. Michelle Madow wrote her first novel, Remembrance, in her junior year of college. Remembrance is the first book in The Transcend Time Saga, a three part series about reincarnation and true love that Michelle successfully self-published. The series was inspired by Taylor Swift’s “Love Story” music video. Michelle’s latest YA series, The Secret Diamond Sisters, about three sisters who discover they are the secret heirs to a Las Vegas billionaire casino owner, was published in March 2014 by Harlequin Teen. The second book in the series, Diamonds in the Rough, released in November 2014, and the third book, Diamonds are Forever, will be coming out in November 2015. Michelle is active on social media networks and has toured across America to promote her books and encourage high school students to embrace reading and writing. To chat with Michelle and other fans about her books, join Michelle Madow’s Street Team on Facebook!